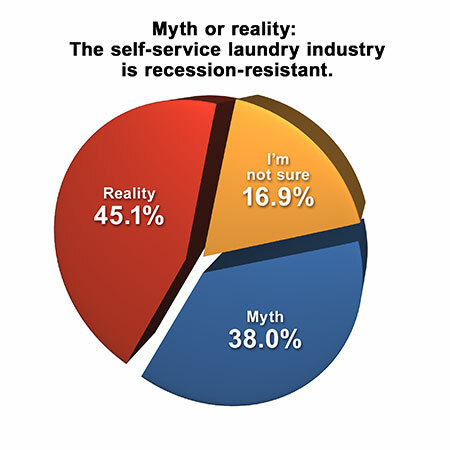 CHICAGO — When one enters the self-service laundry industry, it’s not unusual to hear certain statements — “the industry is recession-resistant,” or “one person can run as many as four stores without needing help” — that may or may not prove to be true. 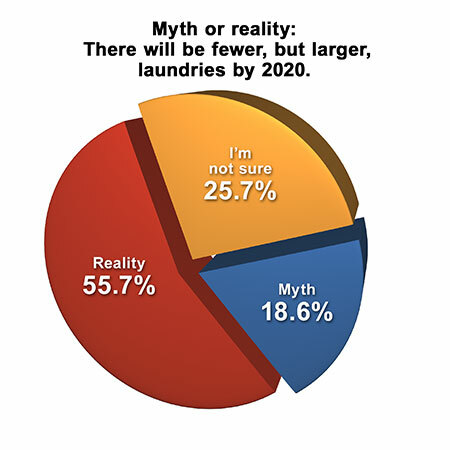 In this month’s Your Views survey, American Coin-Op polled store owners on some of the “myths” and “realities” of the self-service laundry industry. Nearly half of respondents (45%) believe the industry is recession-resistant, calling it a reality. Thirty-eight percent see the notion as a myth, and the remaining 16.9% aren’t sure whether it’s myth or reality. About being able to run as many as four stores without hiring a manager or attendant, the majority of respondents (46.5%) say that’s a myth. Roughly 39% see it as reality, and the remaining 14.1% aren’t sure which it is. While American Coin-Op’s Your Views survey presents a snapshot of store owners’ viewpoints at a particular moment, it should not be considered scientific. Qualified subscribers to American Coin-Op e-mails are invited to participate anonymously in the industry survey.